DEARBORN—On Saturday, March 18, The Arab American National Museum held a storytelling event called “Hikayat: Personal Narratives from a Cultural Perspective” from 7 to 9 p.m. 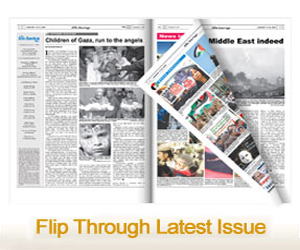 Some of the most successful and talented Arab Americans in the country shared their stories. The Palestinians Podcast, a platform that aims to bring the Palestinian narrative to the forefront in Western media, partnered with the museum to present this special event. 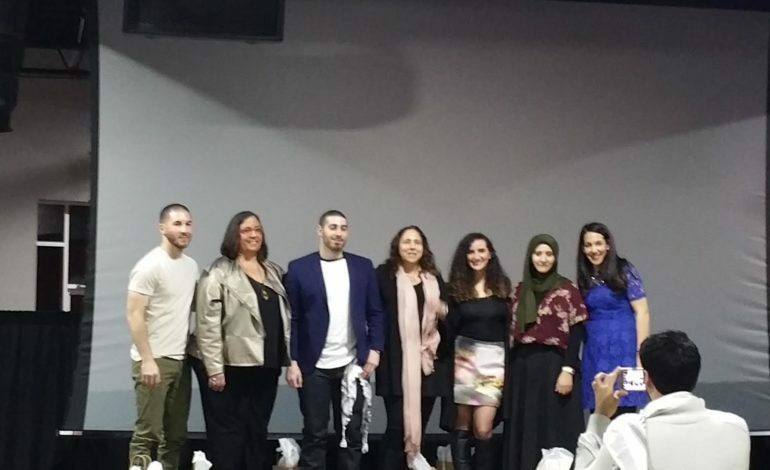 The program invited storytellers Alise Alousi, Tariq Luthun and Hanan Yahya, with surprise guests State Rep. Abdullah Hammoud (D-Dearborn) and writers Kamelya Omayma Youssef and Annalise Raziq, all of diverse backgrounds. The narrators had to tell their personal story without a paper on hand and did so generating waves of claps, laughs and cries. Nadia Abuelezam, the creator of Palestinians Podcast and an assistant professor at Boston College, hosted the event. Some of the most moving stories included Alise Alousi’s “Driving to Baghdad.” The Iraqi American writer and associate director of the Inside Out Literary Arts Project, who started off the event by narrating her story, said her parents decided to take their then four children on the ocean liner “Queen Elizabeth 2” from New York to France and to then drive their Chevy station wagon from there to Baghdad. The second time they visited Iraq, 25 years later, they had no choice but to travel to Baghdad from Jordan by car because American citizens were not allowed to fly into Iraq. He had always felt that sports connected people. With that in mind, Luthun would play soccer with his cousins and even basketball with complete strangers every time he’d visit Gaza. He said it felt safe. After a long train ride, she arrived in Venice, only to find, as she set out to explore the city, that all of her cards were being declined. She was also unable to withdraw money from an ATM. After she spent hours in the rain looking for the train station, a Tunisian man named Imad assisted her. She found out he was disoriented himself as a deportee from Germany looking for jobs and sleeping on trains. After a 10 minute intermission, Abuelezam told a story of how her father stocked up on food due to concerns about the “Y2K bug” that was expected to implode computers in the year 2000. Later, she realized he’d actually stocked up on food because he’d lived in a refugee camp during the Lebanese Civil War and that “food and security were an everyday issue.” He had to make sure to provide for his family as the eldest of four children, so his obsession with stocking food stemmed from that traumatic experience. The final guest, Chicago-based Palestinian American storyteller Annalise Raziq, told her story, “Who knew?”, which focused on her late Muslim father and the rise of Islamophobia.